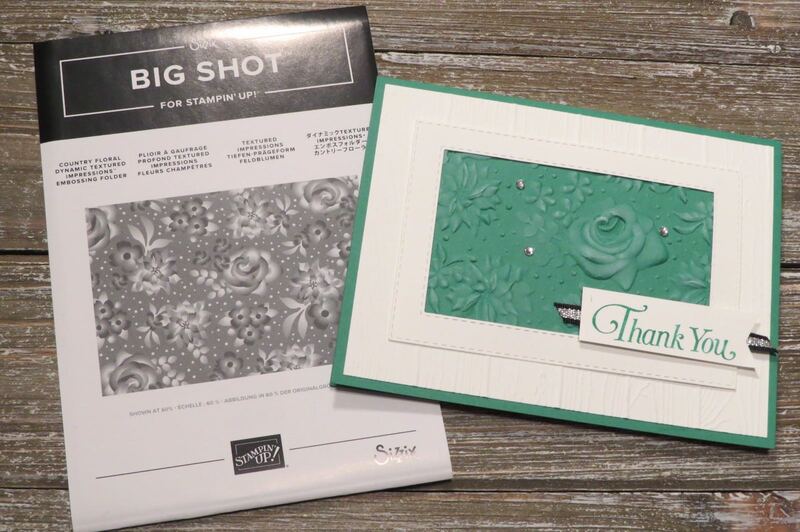 I'm so happy Stampin'Up has released three new Sale-a-bration items. One of these items is the Country Floral Embossing Folder as seen in my card. 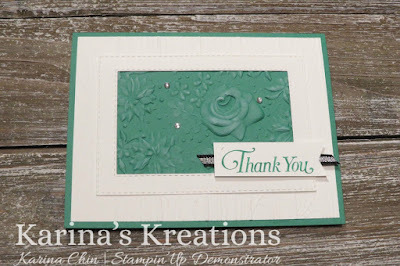 I embossed some Call Me Clover cardstock with the folder and sponged white craft ink over the raised areas. The sentiment is from the All that you are stamp set. TIP: Use a Call Me Clover Stampin' Write marker to ink up the part of the image you want to stamp. I used the Thank You image. Here's the supply list for my card. Click on a picture to place an online order.